It’s amazing how quickly summer disappears; one moment, we’re complaining about the heat, and the next, we’re bundled up in boots and sweaters. Personally, I love this time of year because it means the start of apple season, hayrides and fall foliage. But before we talk about local apples, let’s take a minute to look back at our summer FarmSource season. This past growing season was very challenging for our farmers. The month of June consisted of seemingly endless rain, which meant the fields were too wet to plant. Contrast that with August, which was extremely dry and therefore depleted the source of water from many of the farm ponds that were used for irrigation. It was a tough year, but our farmers worked through the challenges and were able to provide us with some of the highest quality produce that I’ve witnessed since the start of our FarmSource program. This was the first year that we had local lettuce for our Soup, Salad and Fruit Bar. Last year, my buddy Dan Yarnick asked me if he could grow green leaf lettuce for us and of course I agreed. 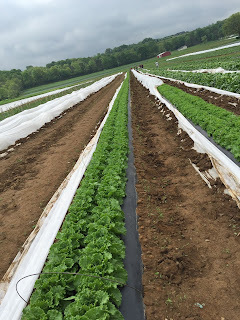 After figuring out our the volume we needed and proper rotation of his fields, Dan was able to provide us lettuce almost the entire summer. Because the leaf lettuce was so successful, we’re planning on working with him over the winter to grow spinach and lettuces in his greenhouses. The end of the summer produce also means the start of local apples. Our friends at Dawson’s Orchards grow a variety of apples that we use in our restaurants. 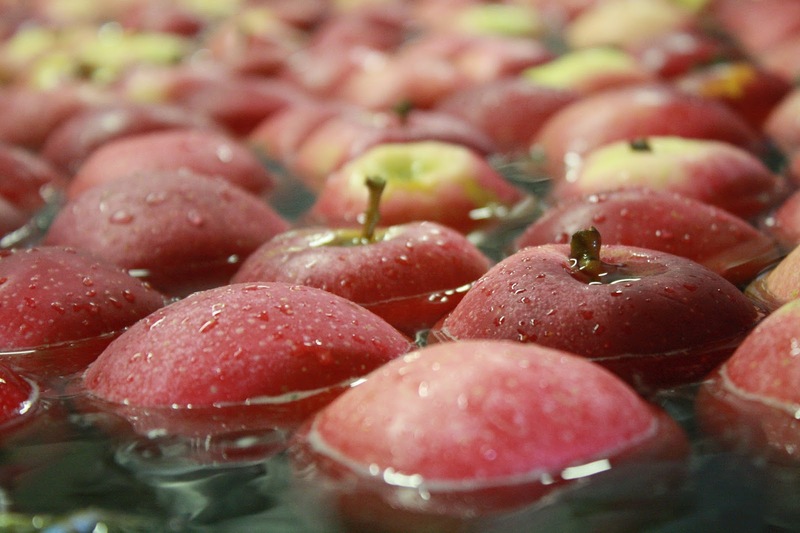 We will feature their Gala and Red Delicious apples on our Soup, Salad, and Fruit Bar and their Granny Smith apples on our Grilled Ham & Apple Sandwich. You can also enjoy a cup of Mulled Apple Cider, also produced by Dawson’s. Trust me; you’re going to love our wonderful fall offerings. And if you’ve ever wondered exactly how an orchard operation works, check out my past posts, where you’ll get an insider’s look at Dawson’s Orchard as well as the cider press that they partner with. Free Slice of Pie Coupon! Trick Or Treat! Halloween Deals at Eat'n Park!